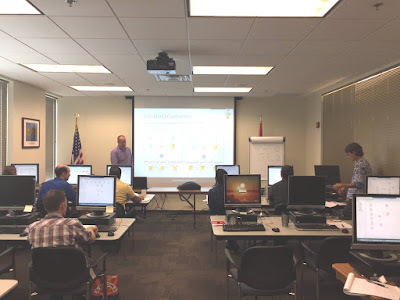 Typically, rather than teaching basic GoldSim skills, the on-site training is intended to assist you with either a specific modeling application, or with learning one of the GoldSim extension modules (e.g., the CT Module or the RL Module). 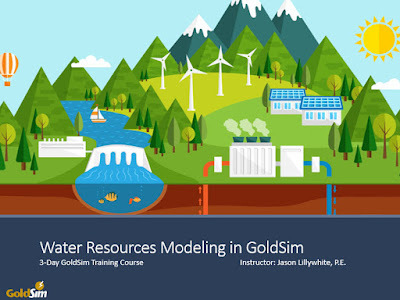 If your goal is to simply learn the basics of GoldSim, the online course (discussed above) is the best option (it is free, and covers the material in more detail than can be done in person). This training done in Phoenix was focused on water resources but we are able to tailor the content for your specific needs. Note: Attendees are expected to bring their own laptop computers to all training workshops. We provide temporary GoldSim licenses, but do not provide computers. The cost for on-site training varies depending on the location (and hence travel time and expense) and duration. Please contact us for a quote. Note: When you first purchase GoldSim, you have an opportunity to purchase a Quick Start Package. The Quick Start Package provides training at a discounted rate.